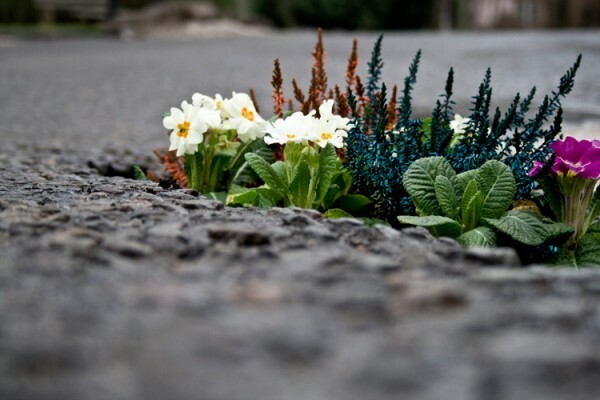 Potholes garden or advertising guerrilla war. Put a small plant in a hole on the streets. A nice project.